Botox is an FDA approved cosmetic treatment used to reduce the appearance of facial fine lines and wrinkles. As one of the most commonly performed cosmetic injections, Botox is the mainstay of treatment for dynamic wrinkles, sometimes referred to as “worry lines.” Dynamic wrinkles form in regions of the face where the muscles of expression are most active. Years of muscle overactivity combined with age-related skin thinning, result in the formation of lines and furrows. 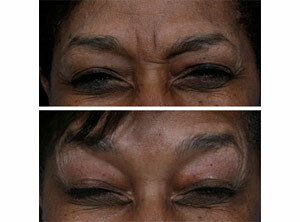 Botox works by relaxing these muscles, effectively softening or eliminating wrinkles. It can produce remarkable results by softening your appearance, making you look more relaxed and well-rested. Millions of people benefit from the dramatic results of Botox each year. Botox injections are safely performed in the comfort of our office. We obtain the product directly for the manufacturer (Allergan) in order to assure the highest level of quality. Dr. Jacob D Steiger MD is South Florida Botox expert board certified by the American Board of Facial Plastic and Reconstructive Surgery and the American Board of Otolaryngology- Head & Neck Surgery. He practices in Boca Raton and Delray Beach, Florida treating patients from Palm Beach, Ft. Lauderdale, Miami, as well as patients from all over the US and from around the world.